MAX FORREST - Max, a sophomore, is the Physical Education Student of the Month. His daily participation, effort and leadership are prime examples for others students to follow. Some of Max’s favorite activities in class are working out in the fitness center and mat-ball. After school Max remains active by playing on the Lacrosse and Soccer Teams. SEAN CUNNEEN- Sean, a senior, comes into class every day with an infectious enthusiasm to create videos. In the TV studio he leads, motivates and inspires his fellow classmates to produce entertaining, interesting and professional videos. 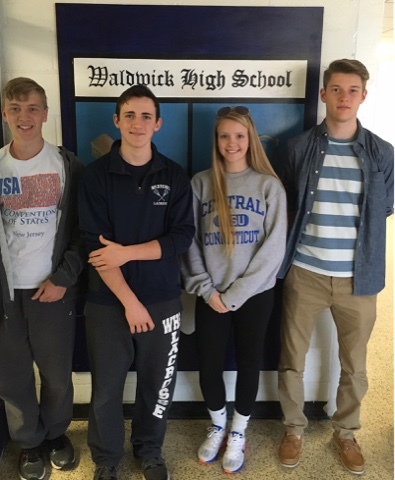 Sean has been one of the leaders behind Wake Up Waldwick's new format; creating characters such as Ronald Grump, a high school police officer and a snarky anchorman delivering the news. Talent, creativity, inspiration and perseverance are Sean's secrets to success. It is my pleasure to introduce Heather Ruiz to the Waldwick community. Ms. Ruiz will be filling in for Mrs. Kabobjian (Ms. Hart) while she is out on maternity leave. Ms. Ruiz will be teaching World History for the STRIDES program as well as Academic Support. We are very excited to have Ms. Ruiz be a part of WHS. I grew up in Waldwick and went to Traphagen Elementary. I also attended Waldwick Middle School and graduated from Waldwick High School in 2008. During high school I was Captain of the Volleyball Team and a thrower for the Spring Track Team. I went to Montclair State University and studied History and African American Studies and got my Masters in Social Studies and Special Education from Saint Thomas Aquinas College. In the fall of 2014 I was a student teacher here at Waldwick High School and have been working as a Collaborative Aide at Traphagen for the past year. 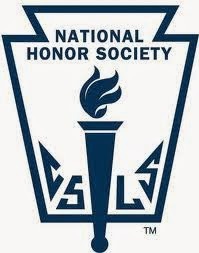 Congratulations to the newest members of the National Honor Society. The induction ceremony will take place on Thursday, April 28 at 7:00pm in the Little Theater.